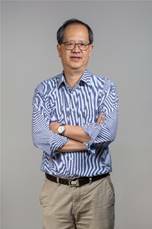 Teo Yong Meng is an Associate Professor with the Department of Computer Science at the National University of Singapore (NUS) and an affiliate Professor at the NUS Business Analytics Centre. At the School of Computing, he is the technical leader for Systems & Networking. He was a Visiting Professor at the Chinese Academy of Sciences in China from 2010 to 2014. From Jan 2007 to Dec 2008, he was an Honorary Advisor (Director’s Office) and Associate Senior Scientist in the Asia-Pacific Science & Technology Centre at Sun Microsystems Inc. He has held various visiting positions at MIT (2010), The Royal Institute of Technology in Sweden (2005), Hitachi Central Research Laboratory in Japan (1996) among others. He received his MSc (1987) and PhD (1989) in Computer Science from the University of Manchester (UK). He holds a BTech (1st Class Honours) degree (1983) in computer science from the University of Bradford (UK). Professor Teo’s research focuses on advancing the time-energy-cost performance of modern processor systems (clusters, cloud and edge) and modeling and formalization of emergence in complex systems among others. His research has been published in Performance Evaluation Journal, IEEE Transactions on Parallel and Distributed Systems, ACM Transactions on Modeling and Computer Simulation, Journal of Parallel and Distributed Computing, Information Processing Letters, Bioinformatics Journal, Journal of Simulation, Simulation: Transactions of The Society for Modeling and Simulation, International Journal of Modeling and Simulation, ACM SIGMETRICS, IEEE International Parallel & Distributed Processing Symposium, International Conference on Parallel Processing, International Conference on Algorithms and Architectures for Parallel Processing, International Conference on Very Large Data Bases, IEEE Conference on Modeling, Analysis and Simulation of Computer and Telecommunication Systems, IEEE Cluster Conference, INFORMS Winter Simulation Conference, ACM SIGSIM Conference on Principles of Advanced Discrete Simulation, International Conference on Formal Engineering Methods. This document, index.html, has been accessed 107298 times since 21-Nov-26 08:40:22 SGT. This is the 11th time it has been accessed today. A total of 33349 different hosts have accessed this document in the last -2765 days; your host, ec2-18-234-236-14.compute-1.amazonaws.com, has accessed it 1 times.